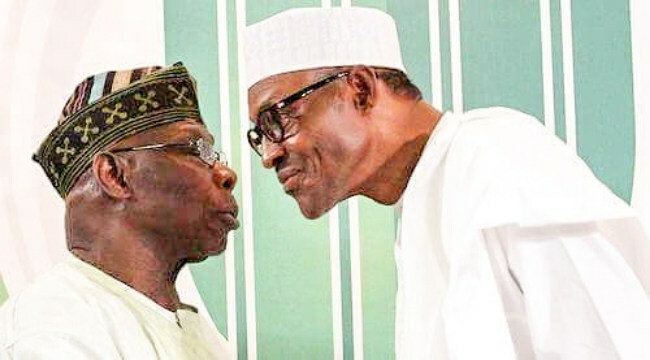 Recently, President Muhammadu Buhari and Nigeria's erstwhile president, Olusegun Obasanjo, have been at loggerheads with each other over the 2019 presidential election in the country. It is evidently a known fact that the opinions of the duo, lately, are at parallel poles of the election despite that the former president was hitherto a strong voice supporting the current president during the 2015 presidential polls that enthroned Buhari and ousted the then President Goodluck Ebele Jonathan. This could be further substantiated in Obasanjo's book titled "My Watch" where he voiced out to the people saying that "l prefer to vote for Buhari to jail me than Jonathan to return to destroy this country." It wasn't obfuscating, not even an act of perfidy or a half-truth but an open secret that Obasanjo's name is now included in the government's "Watch List". The Obasanjo everybody knows, no doubt will go to jail if tried. As the former president accuses the incumbent president of frame, and as tension keeps rising over the high possibility of OBJ getting jailed, to add to this, Obasanjo's cry, it is potent to analyze this daring and glaring matter so as to ascertain its possible end. It is true that Buhari remains the best candidate the Fulani oligarchy has ever produced in pursuit of their illicit common goal which is to dominate and subdue the diverse ethnic groups that constitute the regions of the country. This is because he is quite conversant with history. He is the only northerner with the golden realization that they can conquer with the savage and monstrous hands of the Fulani herdsmen just like the same was recorded in history by their progenitors. Before the inclusion of Obasanjo's name in the "watch list" of Buhari, the former has never been found wanting in most strategic scenes with his PVCs acquisition sermon, calling on the citizens to roll into one to oust President Buhari from office. Now that his name has made the list, will Obasanjo still maintain the relentless energy he has employed in campaigning against the seating president or will he chicken out as typical of a Yoruba person? I stand akimbo watching as the drama unfolds. If OBJ, out of fear of persecution, meets Buhari on time and succumbs to his game plan, he will be free of prosecution. That is certain. The Oodua nation, throughout history, has never stamped and maintained strong feet against the vile actions of the Arewa nation. They have always acted as a puppet in the hands of the Arewas, using them as willing tools to accomplish their inordinate missions. It was recorded in history that the Arewa women conquered the Oduduwa nation. Still recorded in the annals of Oodua history, Afonja their kinsman, out of fear, invited the rampaging Fulani herdsmen to their land and his people were conquered. Fear is the greatest weakness that has confronted the Oodua nation in many occasions. Buhari understands this very well and evidently applying it on the former president just as he, at the same time, is politically extorting the Oduduwa nation with the Abiola posthumous award saga. The question remains— will this generation of Oduduwa people be so cheap to be deceived with this Trojan Horse of the Arewa nation? l see treachery on its best in Oduduwa land as Obasanjo is about to be ousted as the godfather of Oodua politics by his brothers. Those singing the "do not touch him," are the very people behind his downfall.